Freshness is tantamount at Bottiglia, from the luscious herb-friendly cuisine to the breathtaking ambiance. Located in the stunning Green Valley Ranch, Bottiglia is an ageless restaurant that offers sophisticated rustic Italian fare, cuisine that is approachable, friendly and savory, as well as a wine list that robust and unique, giving guests and array of choices of vino from Napa/Sonoma, Italy, France and all around the world. The effervescence of Bottiglia carries over from the bright and lively surroundings, which is littered with floral prints and decorative touches, to the menu, which is bountiful with antipastas, salads, fresh fish and the house speciality: papperdella bolognese, a mouthwatering marriage of braised short ribs, truffle ricotta and piquillo pepper gravy. 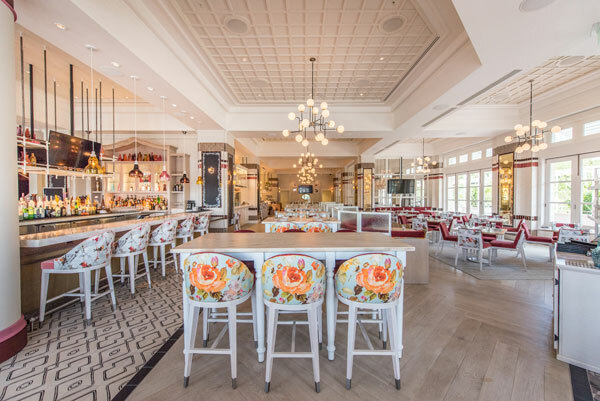 As the kitchen churns out Tuscan-style food, an adjacent patio serves as the catalyst of Bottiglia, as it features a smoothing fire pit upon entry, helping to create a serene spirit and airy atmosphere that overlooks the calm Las Vegas desert.